Now a days a very hot topic is intensifying round the country and that is the quashing down of National Judicial Appointment Commission by the Supreme Court on 16th October, 2015. The core of the matter is the prevalent collegium system of the appointment of High Court and Supreme Court Judges which gives the prime power of the appointment of judiciary to the judiciary itself and this is being done in the name of maintaining the so called endangered independence of the Indian judiciary. Now here we will try to understand how this collegium system of the appointment of the higher judiciary of India evolved. For understanding this we need to know what the three judges case is. 1. First Judges Case also known as S. P. Gupta v. Union of India(1981) also known as the Judges Transfer case. 2. Second Judges Case also known as Advocates on Record Case(1993). 3. Third Judges Case which dealt with the Presidential reference(1998). For understanding the collegium system we need to understand only the Second Judges Case and the Third Judges Case. Only a basic understanding of the first judges case is required. This case can be said to be the formal entry of judicial advice in the appointment of the judges to the Supreme Court and the High Court. Before 1981 the executive had the power to appoint judges to the High Court and the Supreme Court after consulting the Chief Justice of India and the senior most judge of the Supreme Court was appointed as the Chief Justice of India by the executive after consulting the President of India. But Prime Minister Indira Gandhi appointed Mr. M.H. Beg as the CJI superseding H. R. Khanna probably as a punishment as he was involved in the judgments of Additional District Magistrate vs S. S. Shukla Etc. and in Kesavananda Bharati v. State of Kerala. So after the First Judges Case the judiciary has to be consulted before appointment of judges but the process was still not transparent and had many problems which lead to the situation of Second Judges Case. Before 1993, the judges were appointed not by the collegium system but by the executive after consulting the judiciary but the concerns of judiciary were not always referred to. The process of judge appointment was infested with rank favoritism by the government and the judiciary's advice was neither binding nor prominent. So obviously there was a grudge against the government regarding the non transparent process of judges appointment. In the Supreme Court Advocates on Record Association vs Union of India(1993) case Justice J S Verma pronounced the judgement giving the primary power of appointing the High Court and Supreme Court judges to the Chief Justice of India and the senior most judges of the Supreme Court and the High Court. 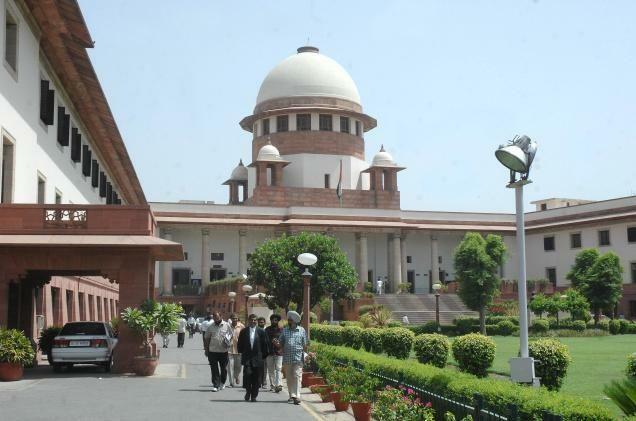 In this system it was told that any judge vacancy to be filled for the Supreme or High Court, the Chief Justice of India and senior most judges of the courts will make recommendations to the executive for appointments and if executive does not want to appoint that particular person they have to provide valid reasons against the appointment. The judiciary will review the reasons provided by the executive and if the judiciary again recommends the same person for appointment the executive will have no other choice than to appoint that particular candidate as judge. This literally meant that all practical powers of the executive to appoint a judge were gone and thus the system of appointments of judges on basis of collegium system was started. In July 1998, The then President of India Dr. K.R. Narayanan through his constitutional presidential reference asked the Supreme Court to formally define what this collegium system meant. The Supreme Court judges will be appointed on the recommendations of the Chief Justice of India and the four senior most judges of the Supreme Court. The High Court Judges would be appointed on the recommendations of the Chief Justice of India and the two senior most judges of the High Court concerned.